Community volunteers from across Houston are busy preparing for Barrio Dogs’ 5th anniversary celebration which will take place Sunday, April 19, 2015, from 2:00 to 7:00 PM at Bohemeo’s, 708 Telephone Road, Houston, TX. The event is open to the public and features live music, food and a silent auction fundraiser. This year’s guest speaker will be State Rep. Jessica Farrar. A $5 entry donation is suggested. 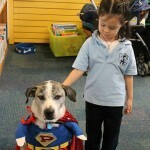 Barrio Dogs has been active in Houston’s East End since 2010 with the goal of educating and empowering residents to improve conditions for the animals in our community. 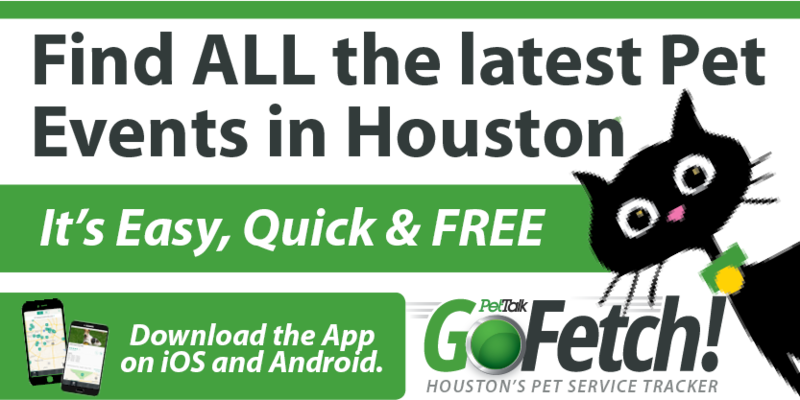 It is estimated that over one million homeless animals reside in the greater Houston area.¹ BARC, the City’s municipal animal shelter, reports that it is not unusual to receive more than 250 daily requests for animal control service from throughout the city.² Most recently, BARC’s February 2015 performance report indicates that they took in 1,868 unwanted pets and euthanized 345 animals in just 28 days.³ In the East End of Houston, stray and roaming animals are a big problem with 61% of residents citing it as their biggest public health concern. Contributing to the problem are owners who do not spay or neuter their pets and allow them to roam the streets and breed, creating more unwanted animals. 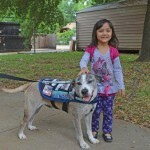 Barrio Dogs focuses on community outreach and educational events at local schools, parks, businesses, neighborhood centers and civic association meetings where volunteers make presentations and distribute literature. 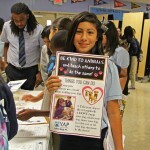 Educational materials include information about spay neuter options, proper pet care, reporting animal abuse and neglect, and encouraging others to “be their own hero” and help an animal in need. 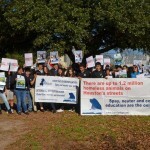 The non-profit organization began when native Houstonian Gloria Medina Zenteno returned to the East End after years away and was horrified to see so many homeless, neglected and mistreated animals. Zenteno first worked with rescue groups but quickly realized that the community lacked a humane solution addressing the root of the problem. With that belief, Barrio Dogs was born with the message that: 1) pets are a lifelong commitment that must receive proper care and treatment, 2) education and spay neuter are the only humane and effective methods of controlling animal overpopulation, and 3) zero tolerance for animal mistreatment and neglect will create safer, healthier, higher property value communities. Barrio Dogs’ founder Zenteno is proud of what Barrio Dogs has accomplished but admits much remains to be done. “In the past 5 years, we’ve logged 60,000+ volunteer hours, fixed at least 2,500 pets, reached over 2,000 children and young people through our educational events, and helped over 700 residents with vetting and spay neuter for their pets. No wonder we’re all so tired!” exclaimed Zenteno. 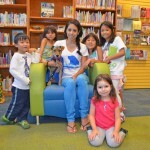 Barrio Dogs is a proud partner with community leaders and residents in the East End community. Despite popular belief, Barrio Dogs does not have a physical location nor a a full-time staff; the core team is comprised of a handful of volunteers, most of them concerned residents with full-time jobs, who dedicate their free time to the organization. Barrio Dogs does not receive city or state funding and relies solely on fundraising activities and private donations. The anniversary event on April 19th will be both a celebration of their 5 year accomplishments and an opportunity for the community to show their gratitude to this hands-on organization.